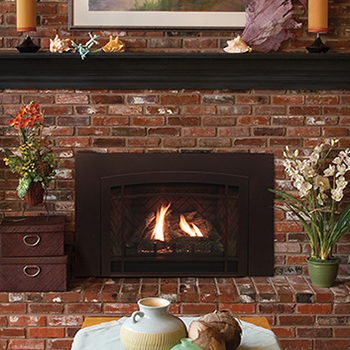 Direct-Vent Fireplace Inserts are classified as zone heating appliances. Zone heating is inherently more efficient than your existing wood-burning fireplace or your central furnace. Unlike a central furnace, which wastes 20 to 30 percent of the heat energy through ductwork losses and sends much of the remaining heat to unoccupied rooms, zone heating creates and transmits the heat directly into the room. This lets you turn down your whole-house thermostat and use your fireplace insert to efficiently warm the room you use most.